Happy Fan Photo Friday from all of us at Now Resorts & Spas! Today’s photo comes to us from Rupesh Patel, a recent guest at Now Jade Resort & Spa. 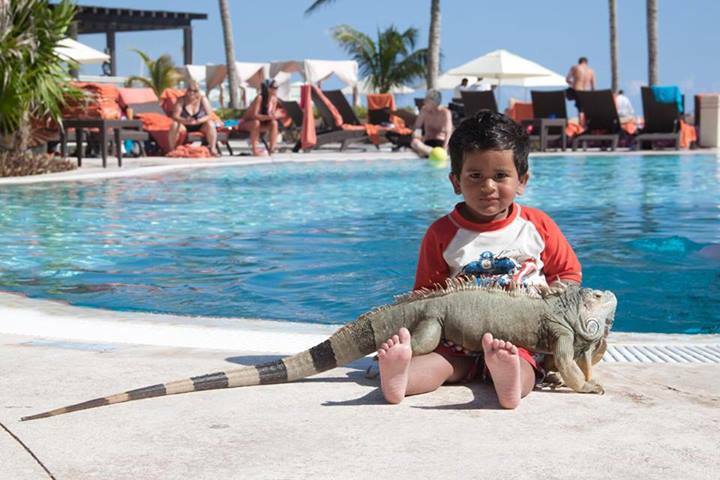 Adorable 3-year-old Jaiden poses with a special friend—one of the many exotic iguanas that can be found lounging around our resorts. Yet another awesome photo of Now Jade—thanks for sharing, Rupesh! Find an amazing pic of our resorts as you were flipping through your vacation photos? Share it with us on Facebook! This entry was posted in Now Jade Riviera Cancun, Now Resorts & Spas and tagged Facebook, fan photos, guest photos, Now Resorts & Spas. Bookmark the permalink.